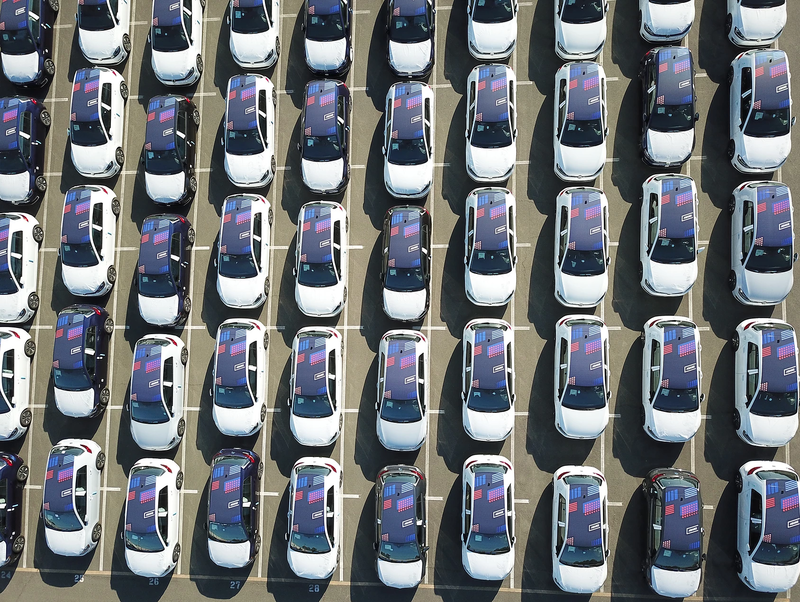 Over one hundred EVs are being deployed in a carsharing initiative brought to Sacramento by Envoy and Electrify America. 142 Volkswagen e-Golf electric cars will be available in the Sacramento area by early 2019 at 71 locations. The first of the EVs are located near the Whispering Pines Apartments in Meadowview. They can be rented by the minute, hour, or day. Envoy’s co-founders, Aric Ohana and Ori Sagie, answered some questions about the program for CleanTechnica. 1. How many vehicles will be used in the electric carsharing program? The initial deployment in early November was 20 vehicles at 10 multi-family properties. By early 2019, our fleet will eventually feature more than 140 vehicles in over 70 different locations across Sacramento as part of program with Electrify America. Each vehicle will have a dedicated level 2 charger. We will also be deploying many more vehicles and chargers with other programs in Sacramento and nationwide as well. 2. Why was Sacramento chosen as the location? Sacramento is California’s fastest growing big city. It provides a perfect setting to evaluate new mobility solutions and will serve as an example for the rest of California, and for other cities across the nation seeking to add EV infrastructure. Additionally, California’s political efforts to lower greenhouse gas (GHG) emissions from gas-powered cars and achieve carbon neutrality (like the recently passed clean energy measure SB 100), greatly align with the benefits provided by shared mobility technologies. According to UC Berkely, households with access to car sharing services can reduce GHG emissions by an average of 41 percent. 3. What are the costs per minute, per hour, and per day? Currently deployed vehicles can cost as little as 15¢/minutes. 4. Do participants join in a membership or how do they enroll in the program? 5. What is the rental process like? Simple – once the app is downloaded, drivers can sign up to use vehicles for immediate use or schedule for the future and book by the minute, hour, or day. Drivers can use the app to check vehicle availability, unlock/lock the cars, and start/end their bookings. All Envoy vehicles are round trip and must be returned to their pick-up location. 6. Do the EVs come with insurance, or do drivers pay extra for insurance? Drivers are covered under Envoy’s insurance. The per minute rate includes insurance, maintenance and roadside assistance. 7. Is there a particular target audience for EV carsharing, or is it all local people who can drive and have good driving records? Car-sharing can be a benefit for all demographics from luxury properties to low-income communities as it can reduce the reliance on personal car ownership, reduce traffic congestion and help real estate developers reduce parking requirements. As part of this program, seventy-five percent of Envoy’s deployments in the city will serve disadvantaged communities. Not only will shared vehicles reduce driving-related expenses like eliminating car payments, auto insurance, and parking fees, users in low-income areas can employ Envoy-branded vehicles to participate in ridesharing roles and the gig economy. 8. Will you launch in other cities in California and beyond? Envoy is already available in areas outside of Sacramento including Los Angeles, Orange County, San Francisco, and New York with plans for a national roll-out soon. In recent news, Envoy unveiled new deployments in Los Angeles and San Francisco and announced an agreement with Eversource Energy to bring EVs to Massachusetts. We will also be announcing other roll-out plans in December 2018. 9. Where will the EVs recharge? Envoy installs a level 2 charger for each vehicle it deploys at a property that is dedicated for Envoy vehicles only and are free to the user. Users can also charge at any of the thousands of public/universal chargers out in the wild – many of which are free as well depending on that charging company. 10. What is the range of the EVs in the program? Range depends on the make and model of the car, but for Volkswagen eGolfs, which are heavily featured across our Sacramento sites, have an EPA rating of 125 miles. Envoy’s fleet of all electric vehicles also includes Fiat 500e, Nissan Leaf, and even Tesla depending on the program and the property. 11. Do you have your own chargers, and if so, how many? Envoy vehicles will be deployed with dedicated Level 2 chargers. These Level 2 chargers will be reserved specifically for Envoy vehicles and will be free to use for drivers. Property owners must provide the electricity powering the chargers. 12. Who repairs and maintains the EVs? Envoy manages all maintenance of the vehicles including regular washing and check-ups. If a driver encounters a problem with their vehicle, they can contact Envoy support as well as report any damage directly through the Envoy There app. Envoy will then dispatch a team to inspect the car, and if there is an issue, they will provide the property with a temporary replacement.